Often times, when seniors think of assisted living centers, they think of nursing homes; cramped, depressing, and dimly-lit facilities where they can’t get a moment’s peace. It’s important to note, however, that assisted living centers are not nursing homes. In fact, when you take all things into account, they are very, very different. Not quite convinced? Allow us the opportunity to sway your opinion by reading about the following benefits of assisted living. Do you typically struggle at finding things to do during the day? When you live in an assisted living center, you don’t have this problem. These centers schedule plenty of activities for their residents, ensuring that they’re living healthy, happy, and social lives. These centers are also equipped with various forms of recreation. At an assisted living center, you’ll find everything from gyms, to cafes, to theaters, to outdoor recreation areas, and more. One of the biggest problems that seniors encounter is making friends. Because they’re no longer working, and because they typically engage in fewer activities than they once did, they don’t encounter as many like-minded people as they once did. Assisted living centers don’t ensure friendship for seniors, but they do make it a great deal easier. Because everyone at an assisted living center is around the same age, friendships are much easier to come by. One thing that assisted living centers do have in common with nursing homes is that they don’t require any home maintenance. When living in an assisted living center, you don’t have to make your bed, or sweep your floors, or wash your dishes, or do anything else that you would normally have to do in your own home. If you typically struggle with doing these things, this can be a huge advantage. Instead of expending tons of energy on chores, you can use it on leisure. 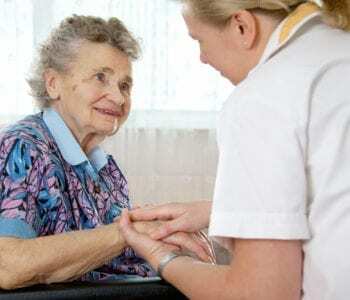 Another assisted living benefit is that assistance is constantly available. Should you ever become injured or unable to do something, there will be someone there to help you or to do it for you. It doesn’t matter what time of the day it is; 24/7 assistance is offered. This is, quite simply, not true of living in your own home. While you may have someone with you during the day to help out with designated tasks, that person usually can not offer you assistance at all hours of the day. For some seniors, preparing meals can be a struggle. Because they can’t physically prepare meals themselves, they often instead order food which is entirely unhealthy. Seniors who live in assisted living centers never run into this problem. Assisted living centers offer a variety of different meal plans, ensuring that you consistently receive a meal that you actually like on an everyday basis. Are you interested in reaping the benefits of assisted living? Do you live in the Washington, DC area? If so, Maple Heights is the place for you. A modern and luxurious assisted living center, we make your comfort and well-being our top priority. Take a look at our floor plans now!